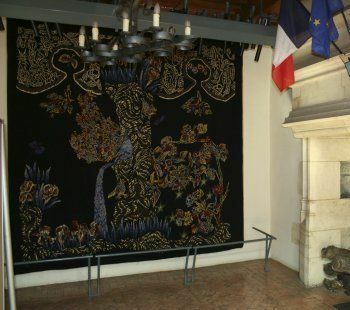 In the reception room of the Town Hall of Rocamadour, two monumental tapestries, given to the village by Jean Lurçat in 1960 and which he created specially to decorate this space, are on show. Made by hand in Aubusson, they represent the flora and fauna of the Causse. Sound and lighting effects enhance the diversity of the subjects illustrated.